Spring was the worst of the year, and fall was the best. Or something like that. In many ways, this show is similar to Bakuman – it follows a large cast of characters as they work to create anime (Bakuman was about manga), and it mixes the serious nature of the work with more relaxed aspects of slice-of-life well. What makes this show so enjoyable are its fun cast, interesting peek into how anime are actually developed, and slice-of-life antics worked into everything. 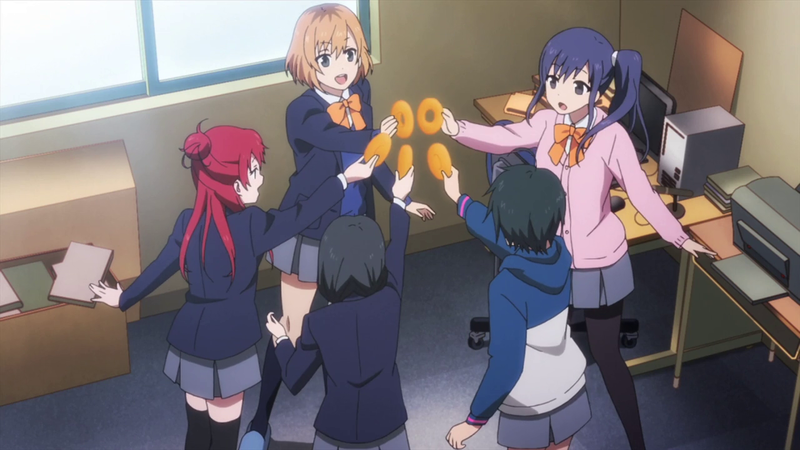 Aoi, who has some bizarre fascination with donuts, is always charming and fun to watch, especially as she interacts with the others at Musashino Animation and her old club mates. The show doesn’t break boundaries and do anything particularly special, but it does enough right that it’s easily one of the most enjoyable shows of the year. Here’s to hoping the second half is even better! Back when I played basketball, I’d sometimes scoff at the ludicrous moves made in basketball movies, whether the clock would move impossibly slow, the players would seemingly warp around the court, or poor defense would be credited to a good offense. 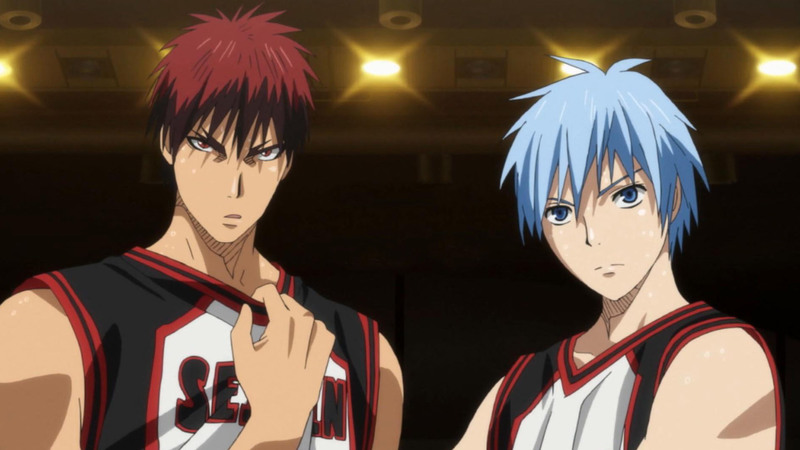 At that point, I never would have though that supernatural Japanese basketball could be so awesome. While the show is not without its faults – it’s extremely slow-paced – it is very rewarding to sit down and marathon from beginning to end. With a big cast of intertwined characters, some crazy “abilities” of varying believability, and some mind-defying mid-air movement, the show somehow manages to be absolutely addicting, especially when the results of a game can seemingly go in either direction. With the upcoming third season, I’m looking forward to where else they take the series. Hopefully, it doesn’t rely entirely on new abilities that come out of nowhere, but more on the tactics and stuff. We’ll see. This show should have been titled Caboose Wars! Despite the fact that it’s far from perfect, this was one of the shows I’d look forward to most every week, mostly to indulge in some bountiful Sakurai booty. And for plot and stuff, right? 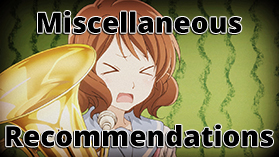 You can see my totally 100% legitimate review here. I also have another Rail Wars! related post lined up for the somewhat near future. Woohoo! Of all the comedies of the year, this was certainly the best. The show was frequently hilarious, and even when not laugh-out-loud funny, it would always bring a smile to my face. The main characters are all awesome, and while there were pretty blatant romantic pairings, there was never any melodrama or obnoxious situations. The lovable cast and funny situations made every episode a blast to watch. And along with all that, the show was engrossing and left me craving more. Fortunately, the specials paired with the blu-ray releases provide a bit more – in fact, these all feel like they could have fit in perfectly with the full episodes. 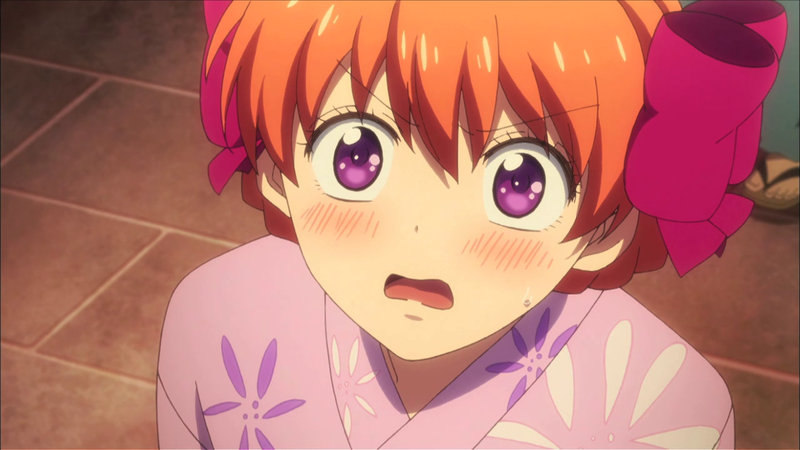 And Chiyo is absolutely adorable. From the Monogatari Series Second Season, my favorite arcs were Nekomonogatari (Shiro) and Koimonogatari. The immediate detail that set these apart from the rest of the series was the main characters – Neko- focused on Hanekawa, and Koi- focused on Kaiki and Senjougahara. Hanamonogatari followed along with this idea, focusing on Kanbaru in the year following Araragi’s graduation. For many reasons, this is one of the best arcs of the Monogatari Series. The character interactions are some of the best in the show, mostly courtesy of a surprise guest. The new character, Numachi, and her relationship with Kanbaru created a dynamic that remained interesting in every episode, especially as the story reached its conclusion. 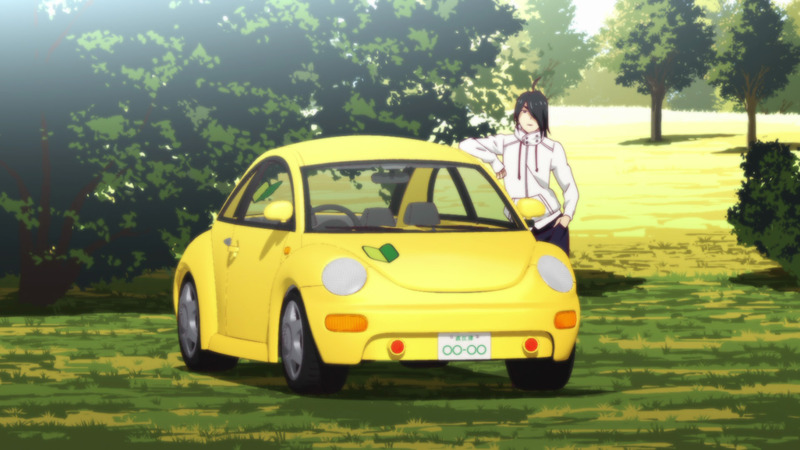 And Araragi drives a Volkswagen Beetle. So that’s something. Tsukimonogatari is available now, so I’m going to watch that. I’ll lump it together with 2015. Caboose Wars should have placed fifth. You could then say it is bringing up the rear. You and your puns… The problem is, it’s just too good for me to stick in the back. You need to actually be able to see the cabooses. Everyone needs to watch Rail Wars at least five times a year in order to live a healthy life.